VFD offers improved control of variable speed fans Selling a building? Four things you should know. Do we really need pit ventilation? 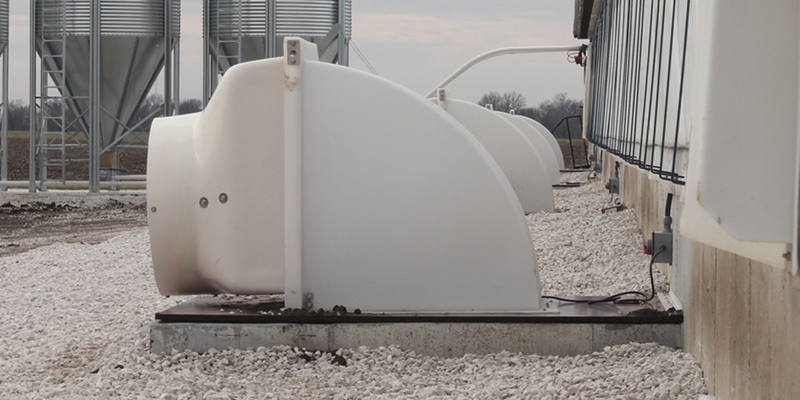 Pit fans are commonly used on buildings with deep manure storage to reduce the amount of gases and odors reaching pig level. 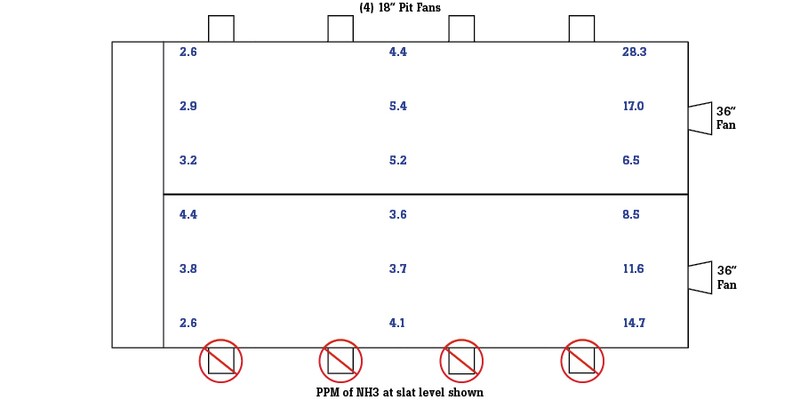 Routine maintenance of the pit fans can be difficult because of their location. Limited access to the shutters and hood discourages frequent cleaning. Blowing snow can pile up on ground level fans. Gaps in pit lids and transitions short-circuit air flow instead of pulling it from the building space. Winter exhaust fans located higher on the building walls are much easier to maintain than pit fans. It is easier to access the shutters for cleaning, they are not affected by snow buildup and wall mounting eliminates air short-circuiting. 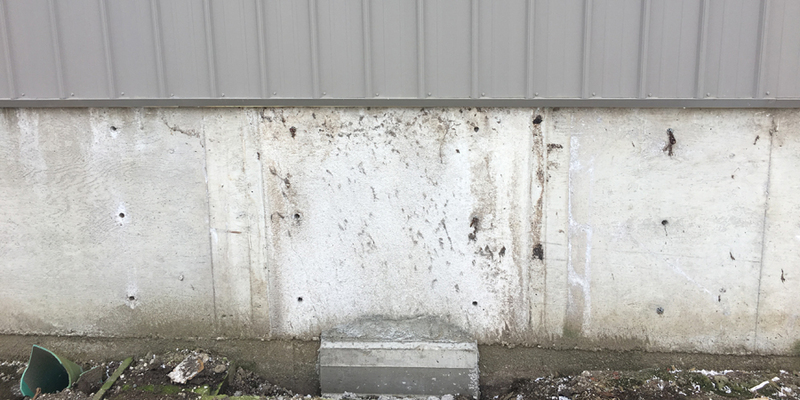 To evaluate the differences between pit and wall ventilation a simple field test was set up in the fall of 2017 in matching 1,000 head finishing rooms measuring 40'x 200'. Each room contained four 18-inch pit fans sized for minimum winter ventilation and a 36-inch fan located in the end wall for transitional ventilation. The pit fans in one room were shut off and covered with plastic sheeting sealing them against air leaks. In this room, the 36-inch variable speed fan provided winter ventilation. The second room continued to operate with four 18-inch pit fans. Ammonia and hydrogen sulfide levels were sampled using a handheld multi-gas detector with a tube sensor. Samples were taken from nine locations in the room at slat level and at one, two and three feet below the slats. The hydrogen sulfide levels in each room were so low that they were undetectable. The only level of ammonia exceeding the maximum recommended allowance of 25 ppm occurred along the outside wall of the pit ventilated room. The highest ammonia level (14.7 ppm) in the wall fan ventilated room was taken at the fan end. The pit was not being agitated or pumped when the samples were taken. Higher ventilation rates are required when agitating or pumping a pit because of the elevated gas levels. We are not representing this information as a controlled experiment with specific parameters. This data only represents a short window of time on one particular day. It was merely a quick test to see if the conditions in the barn without pit fans would deteriorate to the point were pig performance might suffer. Based on the results of this test the operator discontinued using the pit fans on the rest of the farm and relied on the wall fans to ventilate the facility throughout the winter. 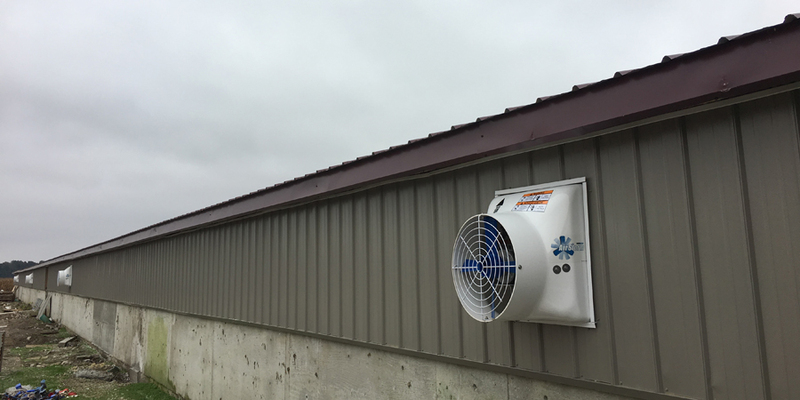 Several other farms in the area are in the process of remodeling existing buildings by removing the pits fans and installing wall fans for minimum ventilation. Current plans call for continuously monitoring gas levels on these farms during winter and gathering closeouts as the pigs are sold to determine any variation in growth or feed conversion. Look for additional information as it becomes available.